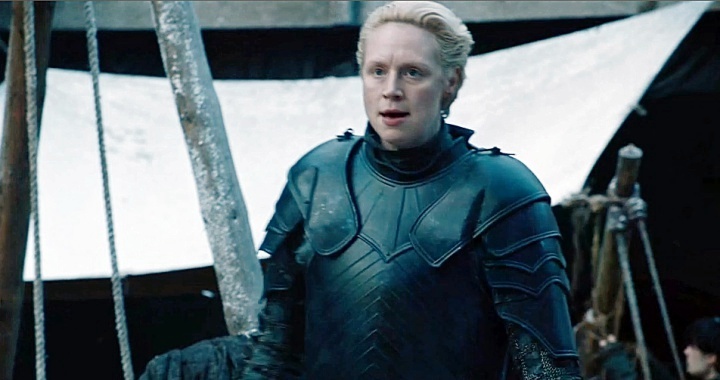 Of all the glorious and wonderful scenes in Game of Thrones‘ Season 7 opener, we couldn’t have asked for a better reunion than those few magical moments with Brienne of Tarth and Tormund Giantsbane. 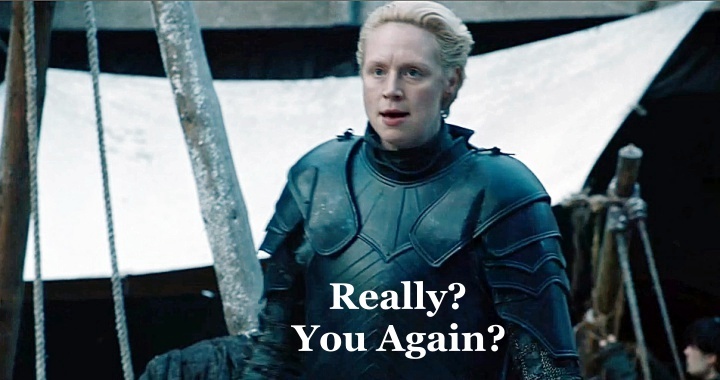 Lustybane, as I like to call him, is not even attempting to be subtle (if he ever was is surely questionable) as he stopped to admire a Lady’s training with her woefully underwhelming opponent, Podrick Payne. There’s almost a softening in her face at the end, there. But, a true knight won’t be deterred from her work. And, a red-bearded Wildling cannot help but admire a fierce warrior. Unfortunately, she doesn’t quite seem to share his enthusiasm. But, who knows; maybe after this conversation (that sadly, we don’t get to see/hear) a Lady will change her mind? Previous story Holy Fleabag! Are Our Doctor Who Dreams Finally, Brilliantly Coming True? The Biggest 2017 Golden Globes Television Snubs: How Do You Nominate This Actor, but Not That Actor?